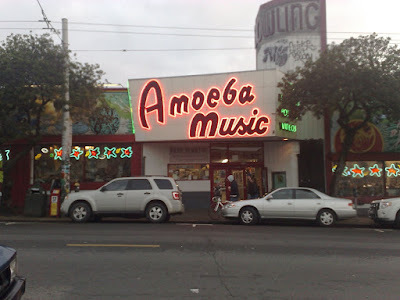 Amoeba in San Francisco... Yes! This is the best record store I have ever been to. They had everything I could have wanted (almost). 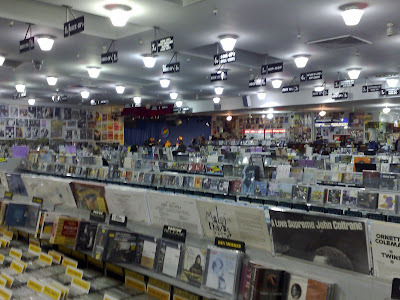 I went to just check the place out and I left 70 dollars poorer; problem is I am traveling with just a backpack so I am going to have to ship the cds back home. I knew this but I just couldn't help myself. 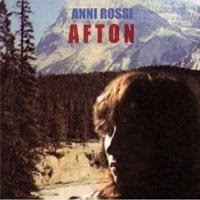 Anni Rossi - Afton: She is from Minnesota or at least went to school there. I found her on myspace about 2 years ago and played some of her stuff on The Fjords of Meniscus. Turns out my friend went to highschool with her. The record is released on 4AD which is surprising, I thought it was going to be on a much smaller label. 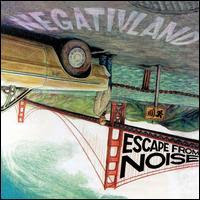 Negativland - Escape From Noise: I had to get this because of being here in the bay area. Negativland was formed here and are responsible for one of my favorite radio shows, Over The Edge on KPFA in Berkley. So this was a no brainier, it was on sale and circa 1987. 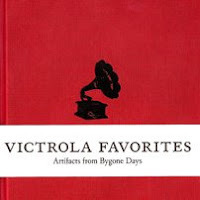 Various - Victrola Favorites: Artifacts from Bygone Days: I think they had everything from the dust to digital record label which I really enjoy. I picked this up based on reading two reviews from the stores free review catalog (which is awesome by the way). What really excited me was the packaging, it comes in a cloth bound book, with the cds embedded in the two cover flaps front and back. Audio interview about the recordings here. 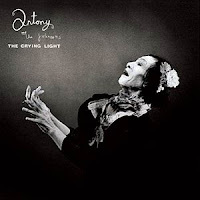 Antony and the Johnsons - This Crying Light: Sorry matt, I reached right past the Animal Collective disc to get this one, the Ep, Another World was good, and I planned on picking this up anyways. On a side note this was released on the same day that Obama was inaugurated. KöHN - Koen: I purchased this because it was released on the k(raa k)^3 label; one of my favorite artist ES of Fonal records in Finland sometimes releases on the k(raa k)^3, so while browsing the used experimental section I decided to give KöHN a try. 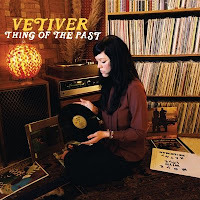 Vetiver - Thing Of The Past: I had read some where that this was good, so for 4.99 it's worth trying. I really enjoy their older track Amour Fou with Devendra, but their "To Find Me Gone" album was a disappointment. They are also from the bay area. Here is a shot to give you some idea of the magnitude of this store. I the back there is Curumin With Lateef The Truthspeaker & Gift Of Gab Of Quannum Projects (!) playing on stage while other people and myself browse about the store and the soundboard is in the folk/bluegrass section. Anni's is a stand out of the bunch, take a listen if you can find it. Negativland was what I was expecting, and it's good but not someting you would listen to everyday. Kohn was good, experimental ambient stuff, and one trancy song that threw me off. I am glad I chanced it with this one.